You know how, in your kitchen, you have maybe 15 mugs? Five or six of those mugs are the good ones. The ones that don't have any chips or blemishes. The ones you use when your parents pop in unexpectedly on Sunday afternoon. Then there are the everyday mugs. You don't wash them very often, because they're almost constantly full. They're comforting and familiar and coffee somehow tastes darker and more satisfying gulped from inside them. Then, right at the back of the cupboard, there are two spares. They have some sort of jokey slogan like "I went to Blackpool and all I got was sexually assaulted". You've never quite got round to throwing them out, but that's only because you're too lazy to read the council's recycling leaflet and, anyway, they could come in handy as an ashtray one day. 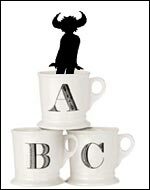 Jamiroquai albums are my music library's equivalent to those mugs. So when Jay Kay announced his return to music I was hardly jumping for joy. As expected, his comeback single, White Knuckle Ride, is an over-ripe cheese wheel of disco funk. And guess what? The video features a sports car. But wait! Listen to what happens when White Knuckle Ride is reswizzled and beaten into shape by pop provocateur Penguin Prison (he went to school with Alicia Keys, fact fans). Suddenly, it's totally fantastic. Hands up who thinks Penguin Prison should have produced the entire album?